So many iconic names of the comic strip world that bring back our childhood’s foundest memories. Who has never drawn in a black and white Tintin album? Who does not recall Gaston Lagaffe’s crazy inventions or Spirou’s hectic adventures ? 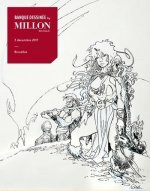 Fine connoisseurs of the 9th art, Millon Belgique’s collaborators will guide you through the process of expertise, evaluation, sale and purchase of everything that relates to the comic strip sphere. From comics to comic-related items, original drawings, albums, screen prints, enamel plaques, dedications, original illustration plates, portfolios and limited edition, this domain has no secrets for our team thanks to the dozens of cataloged and online sales organized since 2005. 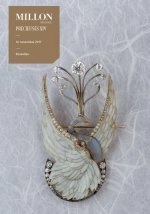 Millon Belgique presents six jewellery auctions per year, juggling between prestigious « Précieuses » catalogs and online auctions entitled « Vous les femmes ». We are at your disposal all year long on appointment to expertise and sell your ancient jewels, couture jewels such as Gripoix, Chanel or Yves Saint Laurent, artist jewels like the works of Emile Souply or Jean Despres, your handbags from Delvaux to Vuitton, silverware, precious stones or fur coats. At the heart of Europe, Brussels is the crossing point of reciprocal influences and art historical exchanges. Ancient paintings, classic furniture, tapestries, sculptures or ceramics offer a compedium of the back and forth influences between the regions of Western Europe. Whether in Italy, France, Germany or the United Kingdom, the objects have been inherited by means of successions or collections. Our classic auctions present a wide range of artistic productions of the « classical » centuries: the Antiquity, the Haute Epoque period, the Renaissance, the French « Grand Siècle », the XVIIIth and XIXth centuries. From prestigious provenances or amateurs’ successions, we adapt our auctions to the objects and to their complementarities. Passionate, we strive to use our knowledge as to illustrate each era with selected objects, enhanced by detailed and referenced descriptions…because an auction can also become a wonderful glance on Art History. Origins that go back to the end of the XIXth Century. 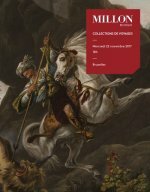 Alexandre Millon is head of Millon Auction House since ten years, alongside three other auctioneers : Nathalie Mangeot, Enora Alix and Mayeul de La Hamayde. Our auction house finds its strengh in a continuously enriched European axis between France, Belgium and Switzerland whilst it also implants itself on the international scene throughout auctions in Tokyo, Pekin, Dubai, New York, Jerusalem and Casablanca. With its 25 departments and 25 experts, Millon is Drouot’s first independant actor and is also a website of online expertises, a storage place (116) and a company of artwork transport (Artsitting).